Siege of Kandahar (Afghanistan) 1737. 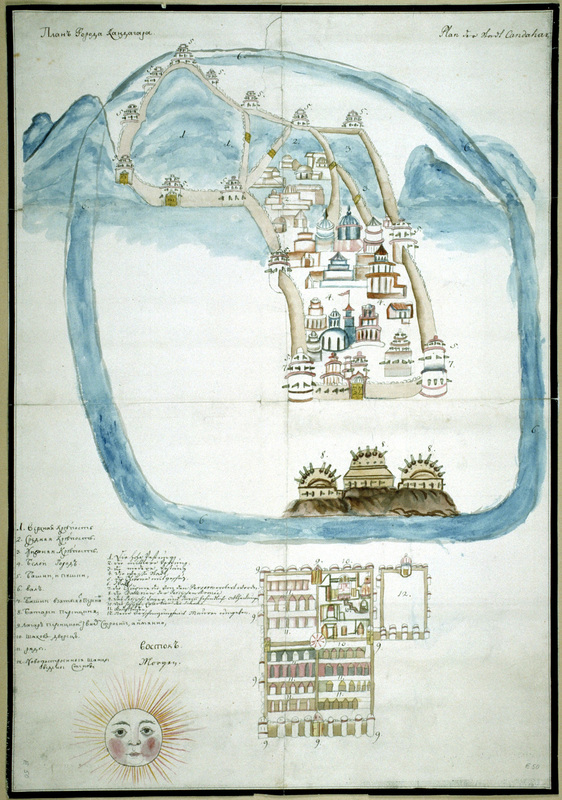 Manuscript map. - National library of Sweden. The siege of Kandahar was a conflict between the ruler of Iran, Nader Shah, and the Afghan Hotaki dynasty that took place between April 1737 and March 1738. Much of the duration of the siege saw little fighting as Nader’s forces’ lack of heavy artillery forced them to settle into a blockade of Kandahar. As the Iranians became more impatient, they made several attempts to take the city by storm but the Afghans defiantly repulsed these attempts. On March 25, 1738 the city surrendered.